A new technical report from FLIR Systems details how developments in optical gas imaging camera technology are allowing smaller Volatile Organic Compound (VOC) leaks to be detected from a safer distance. Detecting leaks of volatile, gaseous compounds can be dangerous, therefore operational safety of any detection technique is of vital importance for maintenance engineers. With Optical Gas Imaging (OGI) cameras, they make use of non-contact measuring Infrared technology that can detect, in real-time, small leaks from several meters away and big leaks from hundreds of meters away. The most important criteria when it comes to selecting an OGI camera for VOC leak detection are detector performance / tuning possibilities and camera sensitivity including related sensitivity enhancement features. 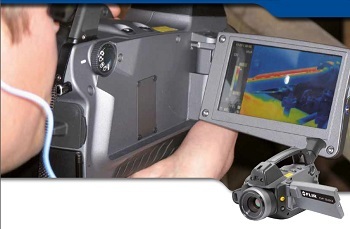 This technical note focuses on developments made by FLIR Systems incorporated into its FLIR GF320 camera that make it the OGI camera of choice for many oil & gas, petrochemical and chemical companies worldwide. The ultra sensitive Indium Antimonide (InSb) quantum detector used in FLIR GF320 cameras visualises gases and small temperature differences in the 3.2-3.4 micrometer waveband. 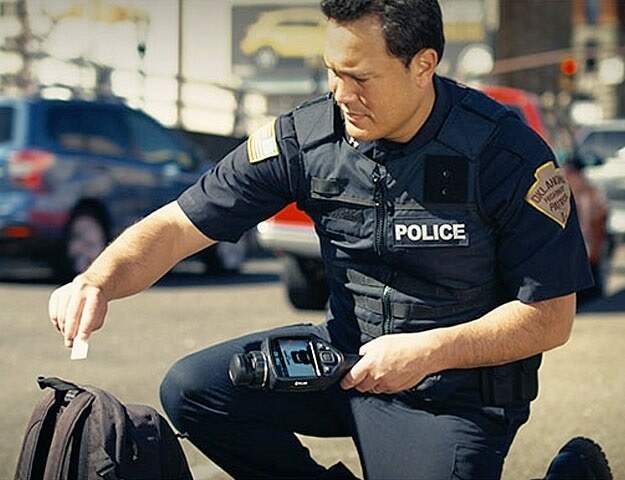 Using advanced cold filtering technology significantly improves the sensitivity of the FLIR GF320 by eliminating background radiation in unwanted wavelength regions. Operating just in a wavelength band where VOC's have a high absorption spike enables the FLIR GF320 to visualise much smaller details and detect lower concentration gas leaks than any other passive OGI camera available on the market today. Setting the appropriate temperature span and level (mid-point) is also essential to obtaining optimal optical gas imaging results. A wide span will provide less image detail. A narrow, more fine-tuned span will offer more detail. Using the FLIR GF320's proprietary High Sensitivity (HSM) image subtraction video processing mode enables users to search for gas without having to set the level of the image before narrowing the span. Since setting the level to the background temperature is a complicated process and not possible for more than one background at a time, HSM allows maintenance engineers or operators to save a lot of time and make it much easier and faster for them to search for small leaks. 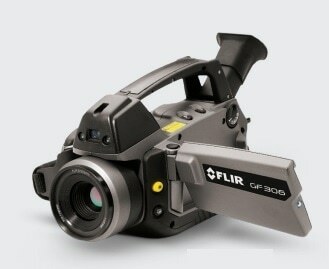 This is done in real time and therefore greatly enhances the stability and the sensitivity of the FLIR GF320.